As a small, non-government funded, arts charity, we face the ongoing challenge of raising funds in order to continue presenting wonderful music and a stellar line-up of soloists, along with inspiring learning activities for all ages. By joining our increasing number of NCO Patrons, you are not only making a significant contribution to the NCO’s well-being and the work of the orchestra, but you are also becoming involved in a direct, rewarding and personal way. 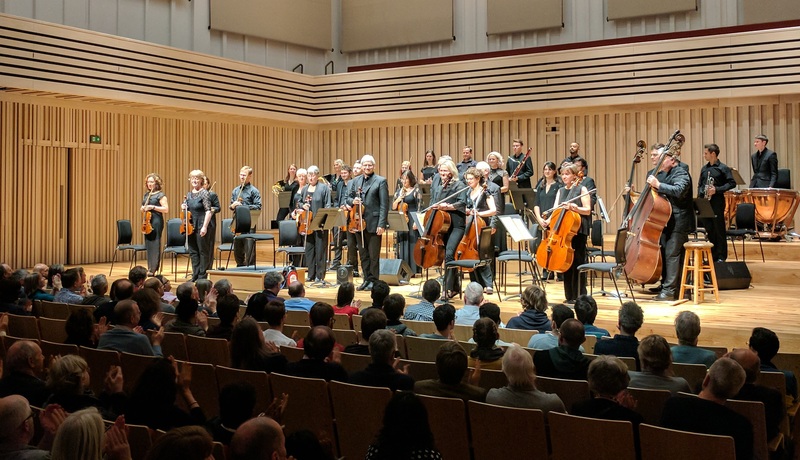 Patrons are listed in all our Concert Programmes (unless anonymity is requested), and receive special benefits, such as an invitation to a special Patrons’ event to mark the start of each new Macclesfield concert season and a free programme for each concert. Collectively, our Patrons’ donations have raised, for example, enough funding to support a concert, including paying for a top soloist’s fees. However, it is possible for us to use your Patron’s donation to support a very specific aspect of our work if you prefer. Either way, we applaud the generosity of all our Patrons! If you feel you are in a position to help the orchestra in this way, Patronage starts at £125. If you are a taxpayer, we are able to claim Gift Aid and receive an extra 25% (at current rates).